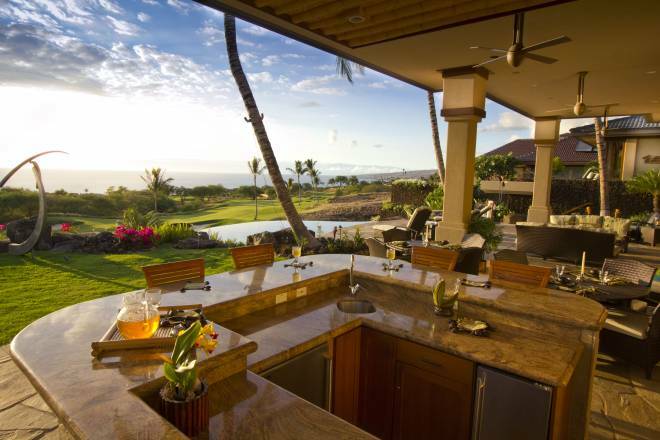 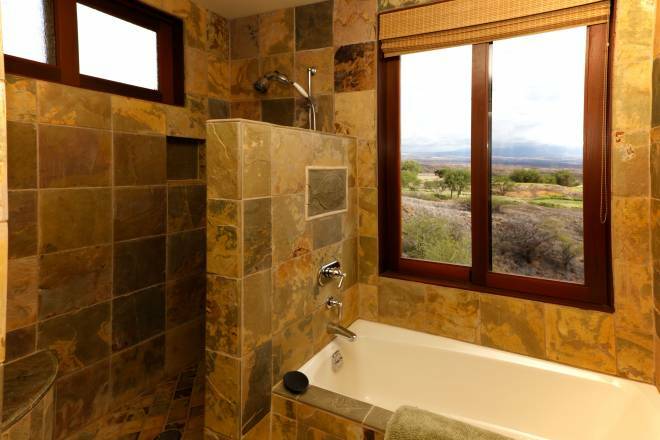 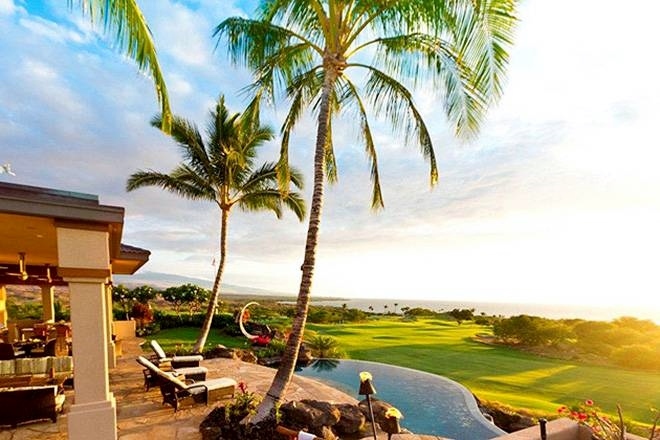 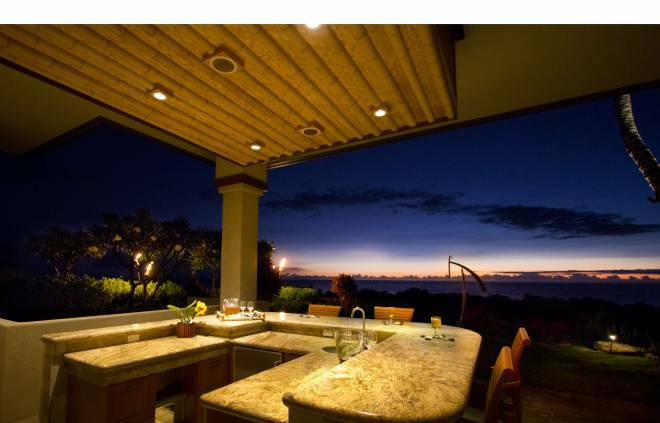 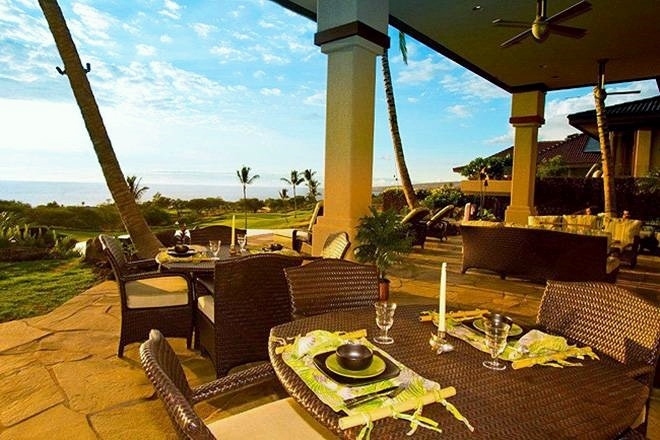 Mauna Kea High Bluffs – Luxury Vacation Homes, Inc.
Retreat to Island Living in this award winning architectural home with unique features and fabulous ocean and fairway views. 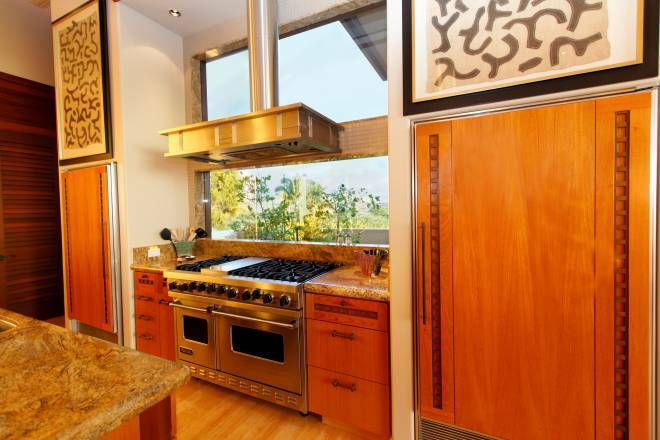 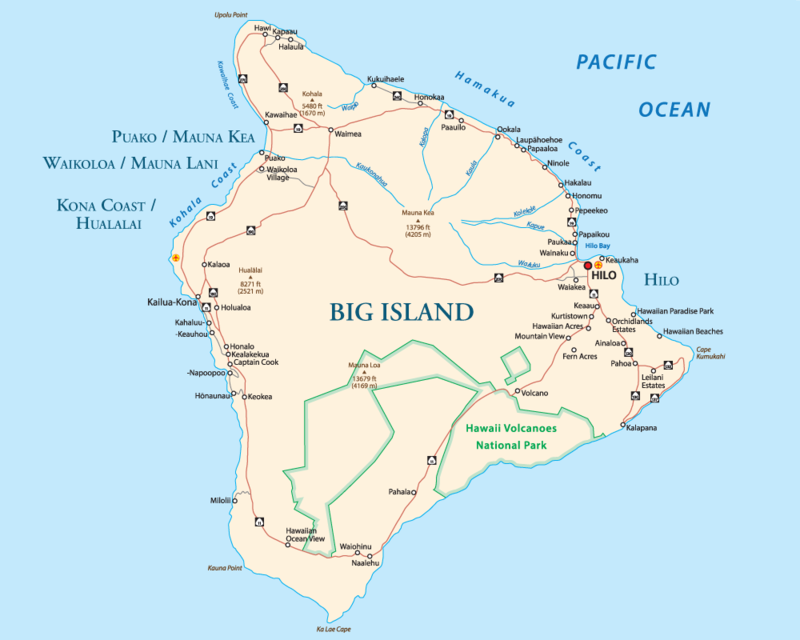 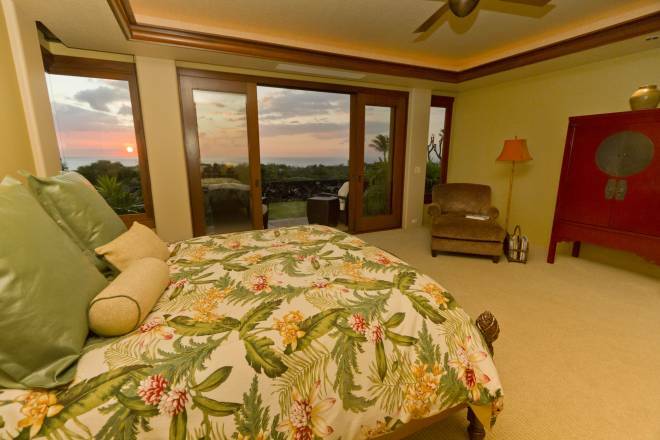 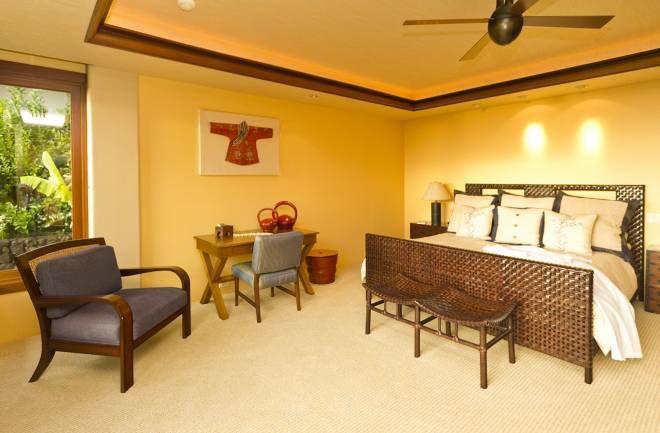 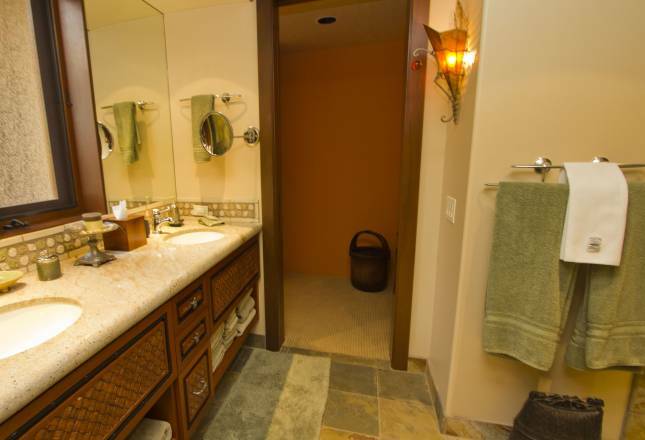 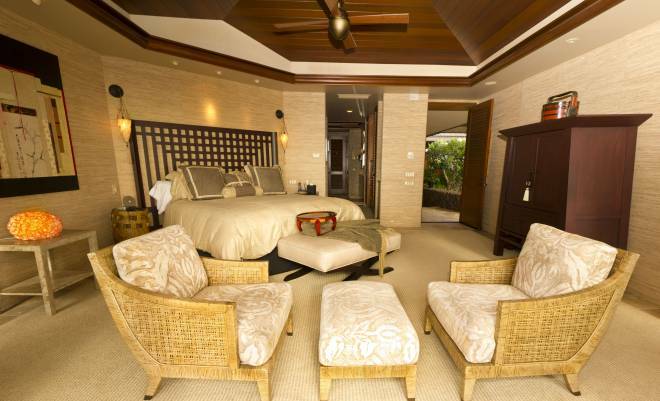 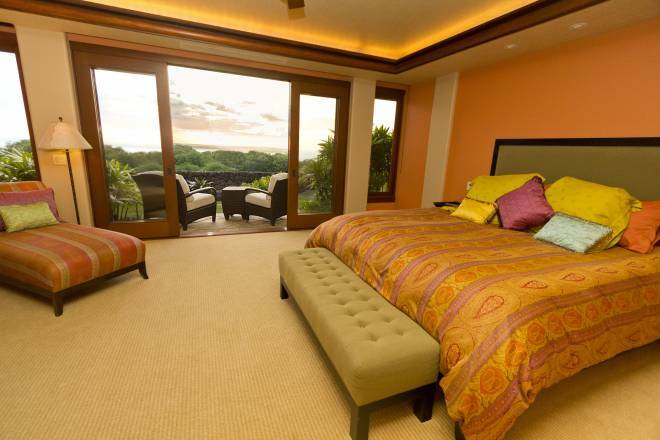 This unique property offers guests elegant accommodations in three connected pavilions with 4 master king suites. 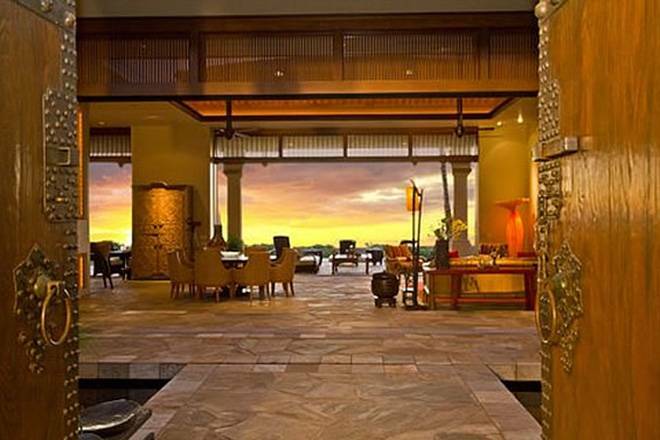 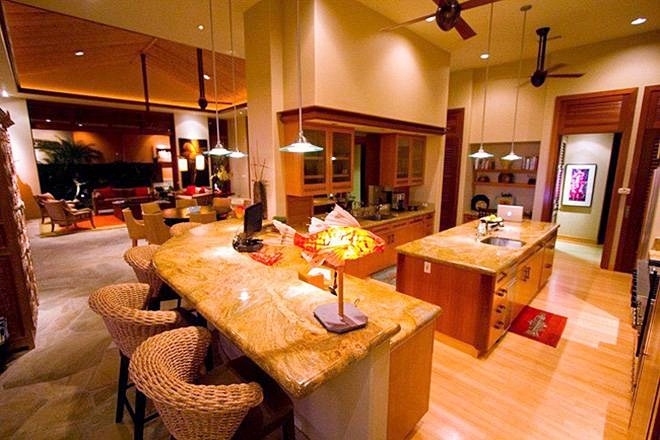 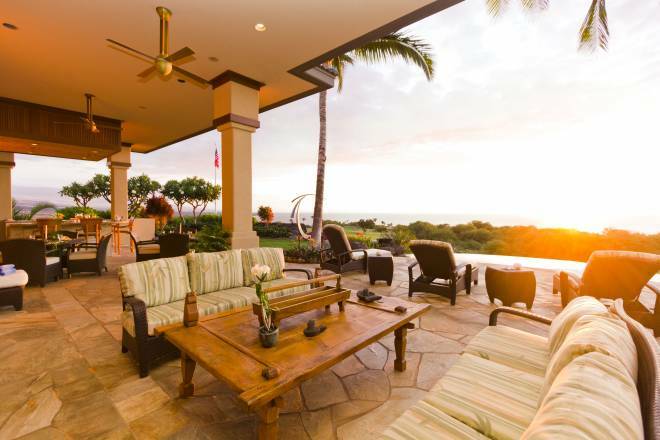 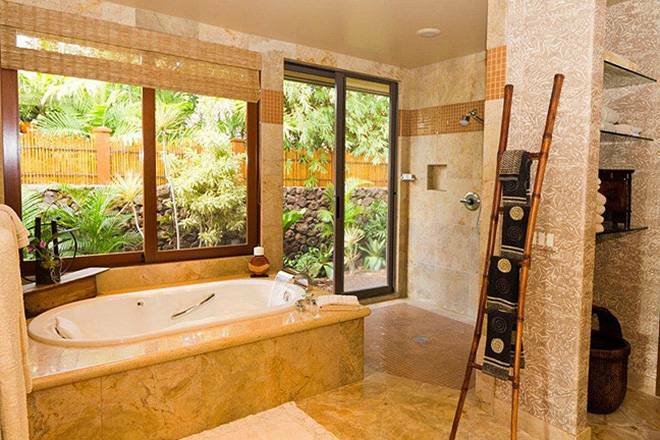 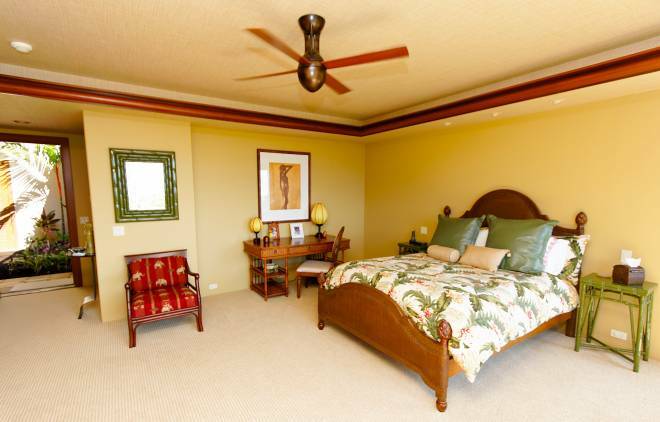 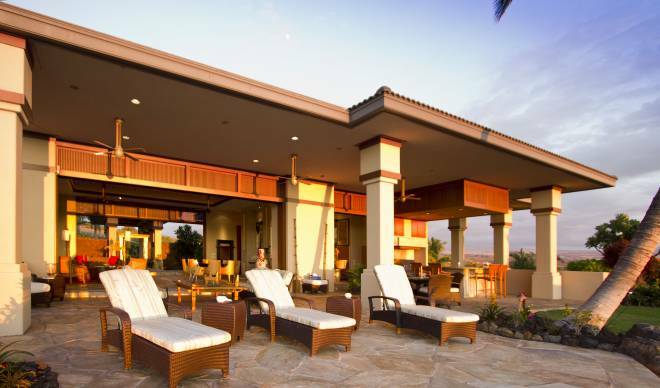 Balinese-inspired, this estate is finished with superb craftsmanship and exemplifies Hawaiian architecture at its finest. 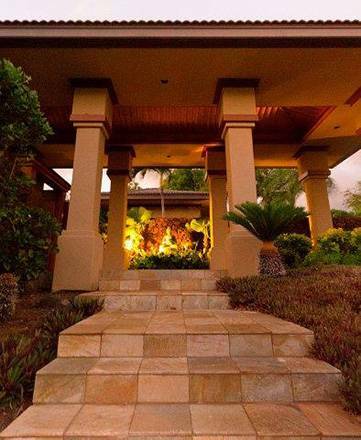 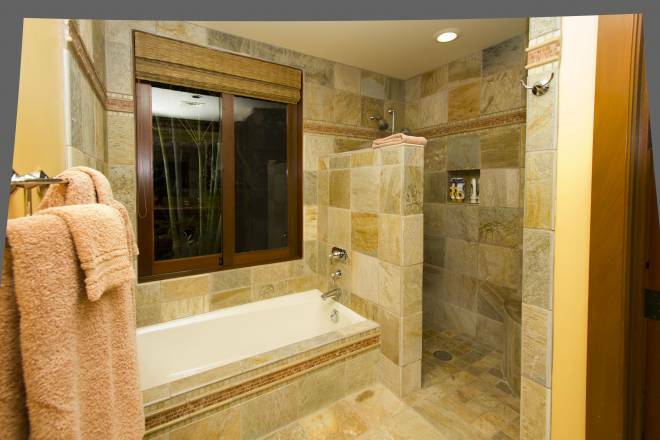 A koi pond and waterfalls dotted with tropical art pieces create exotic richness throughout the home, while 22 foot ceilings and expansive entertaining areas provide a spacious island-style living experience. 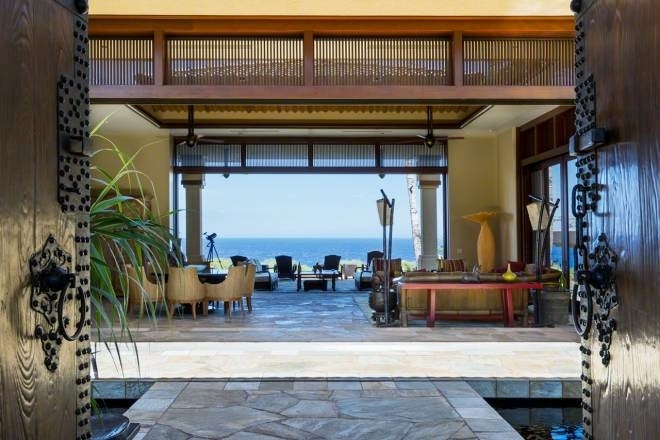 14 foot wood framed recessed doors unite the living room with the lanai and lagoon pool/jacuzzi, bringing the outdoors in with pleasant coastal breezes and gorgeous sunset views. 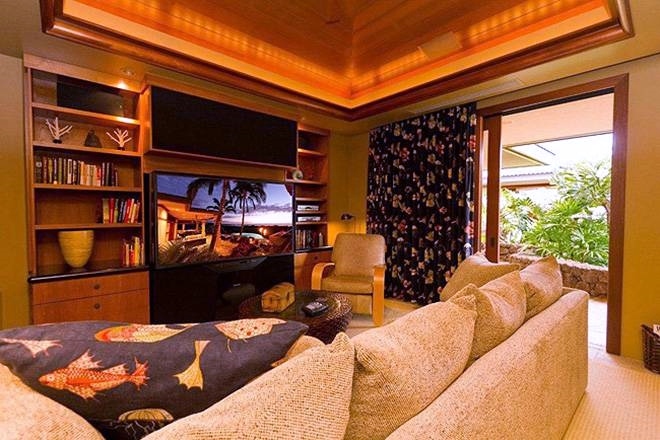 This gated and private 4 bedroom/ 4 bathroom home has room to entertain with its additional two half baths, media room, game room, great room, executive office, gourmet chefs kitchen, pool & spa, two laundry rooms and garage. 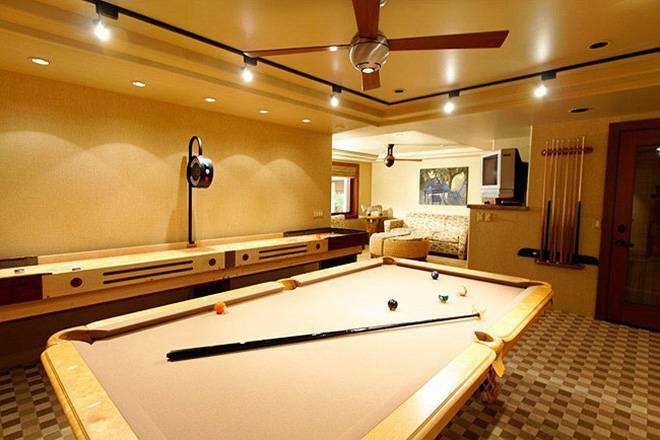 An exceptional property for families, the home is well equipped with many extra features such as Plasma televisions, WIFI, regulation size pool table & shuffle board table and anything else you could possibly need for children. 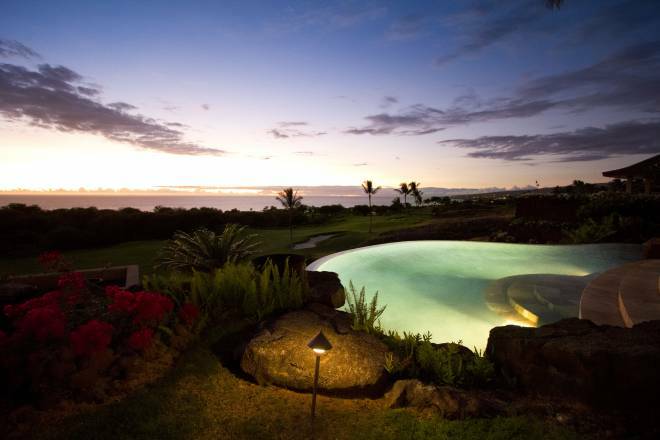 Bronze gas fed tiki torches and firepit light up the pool and jacuzzi area for tropical ambiance.